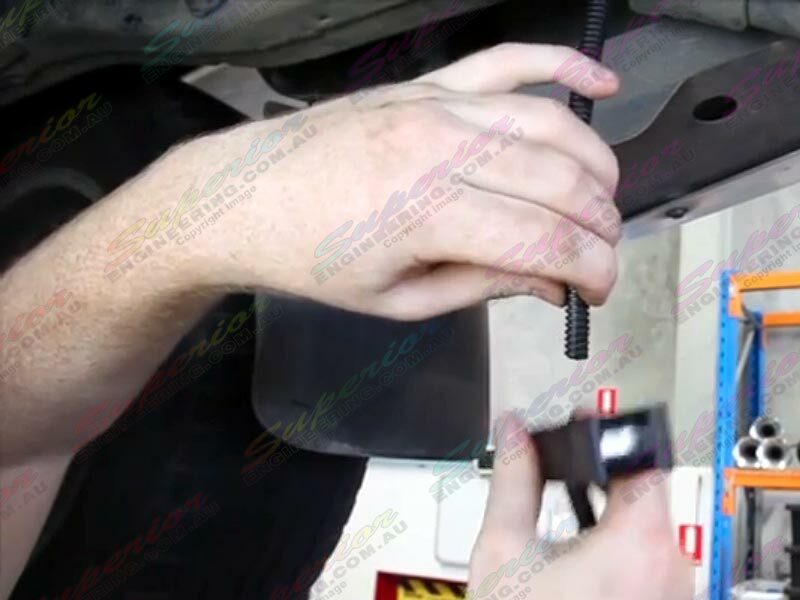 Installation instructions for fitting the "On-Air" airbag suspension system to the rear of a Toyota Landcruiser 200 Series. A rear coil spring suspension replacement system that will give you leveling control for when you’re towing or carrying additional load. 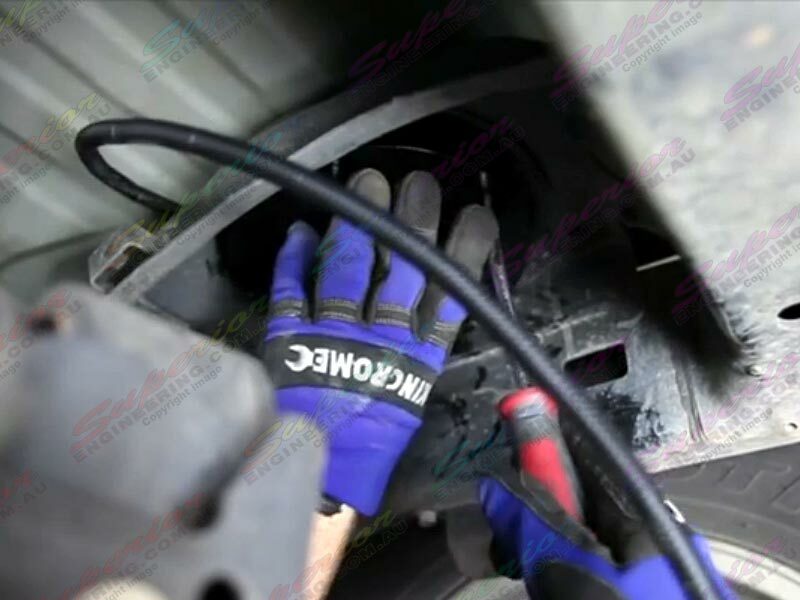 Fitting airbags to the rear of a Toyota Landcruiser 200 is a relatively simple procedure which involves removing the existing rear coil springs and replacing them with airbags. 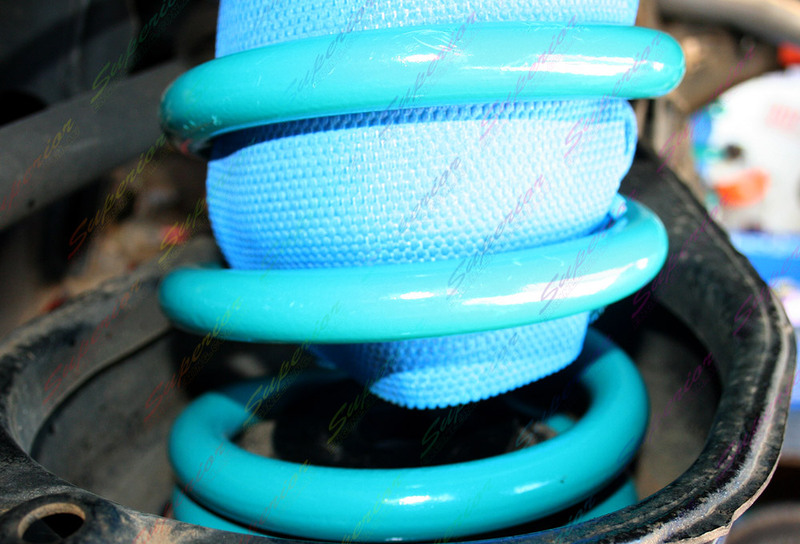 The rear coil springs are compressed or shortened using a coil compressor, making them easier to remove. 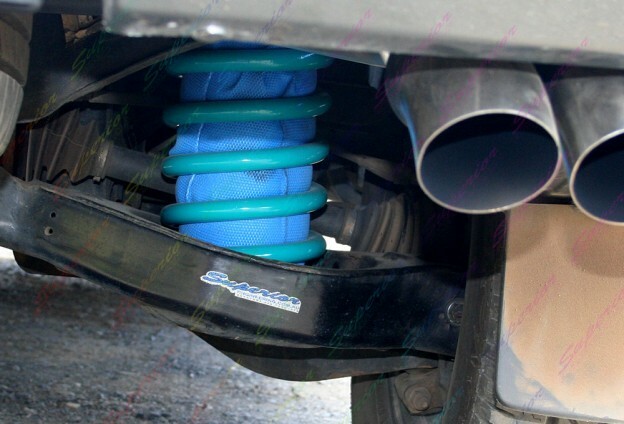 Both rear shock absorbers are detached from the lower and so to is the rear sway bar. A hydraulic hoist jack lifts the chassis up from the rear axle which will allow more room to remove the coil springs. There are no bolts holding the springs in place. The coil is lifted from the lower spring seat and then maneuvered forward and outward. Now that the coil springs been removed it’s time to fit the inflation valves and airline tube which will later attach to the airbags once they’ve been fitted. Two standard tyre inflation valves are fitted to a bracket underneath the rear of the vehicle. Between where the airbags will be located and the inflation valves, airlines inside and out the protector tubing will be run. 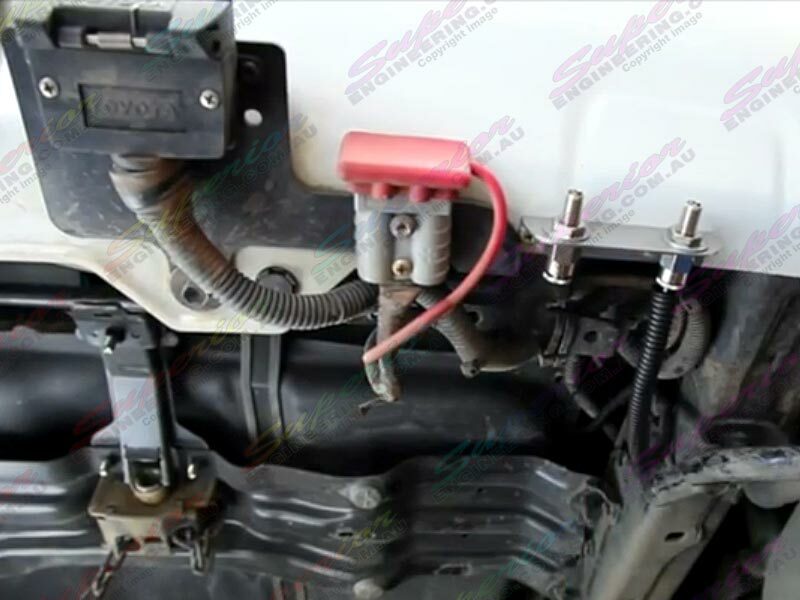 One end of the airline tubing is connected to a push to connect fitting in the top plate for the airbag which is secured to the upper spring seat of the chassis. Three press studs and a bolt hold the top plate in place. The airlines inside the protective tubing can now be run back to the inflation valves at the rear of the vehicle. The airline tube is trimmed to length and then neatly inserted into the push to connect fitting at the back of the inflation valve. The airbags can now be fitted between the spring seat in the top of the rear axle in place of where the coil springs were previously located. The airbags can now be inflated manually using an external air compressor. As the air pressure increases inside the bellows it rolls up the piston assembly. 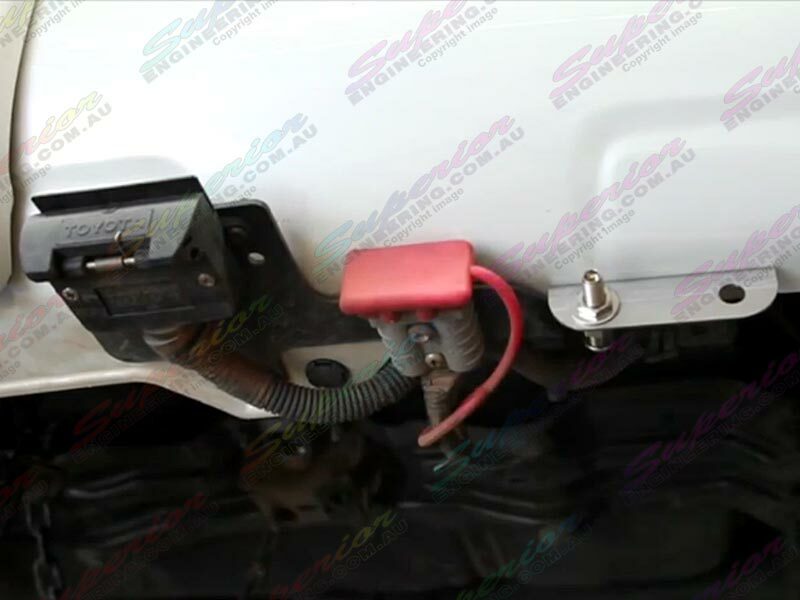 This action pneumatically lifts the vehicle chassis and body upwards off the rear axle allowing for leveling control and adjustable ride height. Releasing air from the airbag lowers the vehicle closer to the ground. 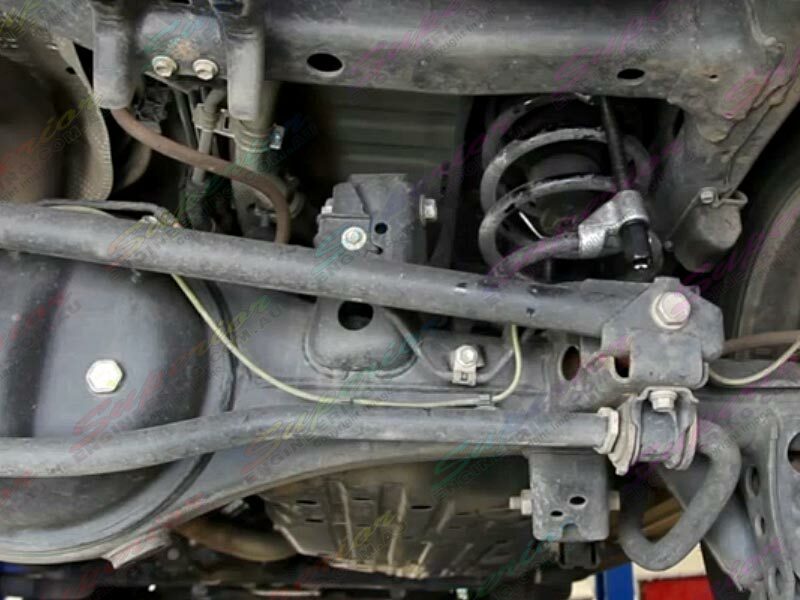 Once both airbags have been fully fitted to the rear of the Landcruiser the shock absorbers and sway bar can be refitted to the underneath of the vehicle. The On-Air system is now complete. Using manual inflation to raise and lower the vehicle for adjustable ride height. When towing or carrying an uneven load the Landcruiser can now level up a sagging rear end from rear to front and side to side. 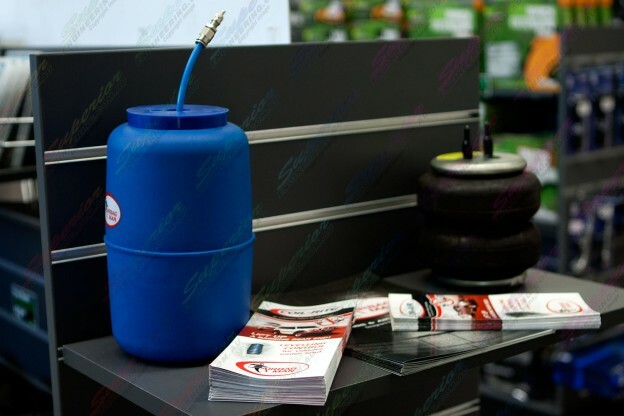 Find Out More about Air Suspension! The coil springs, shock absorbers and sway bar need to be removed before fittment of the air suspension system. Time to fit the inflation valves. Tyre inflation valves are fitted to a bracket on the rear underneath of vehicle. Call Us To Find Out More (07) 5433 1411! Nissan Pathfinder R51 fitted with 40mm Superior Lift Kit (Stage 1) featuring Heavy Duty Suspension Airbags with Kevlar Protection, Airbag Dual Controller Kit, Chrome Clearview Tow Mirrors, 50 Amp Anderson Plug, Brake Controller and a Superior Exhaust System. 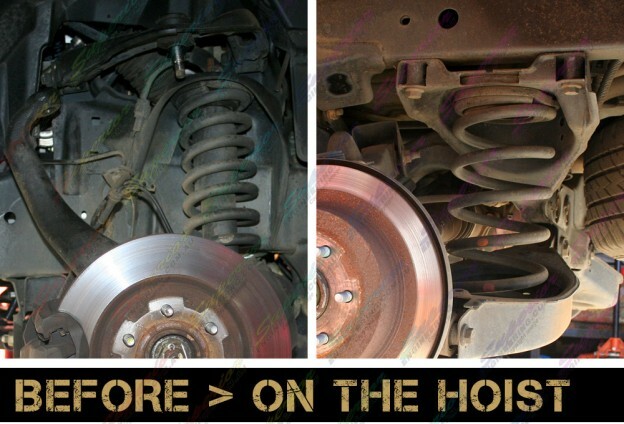 Have you asked yourself this question: “What Is The Right Airbag Suspension For My Vehicle?”… then you’re not alone. 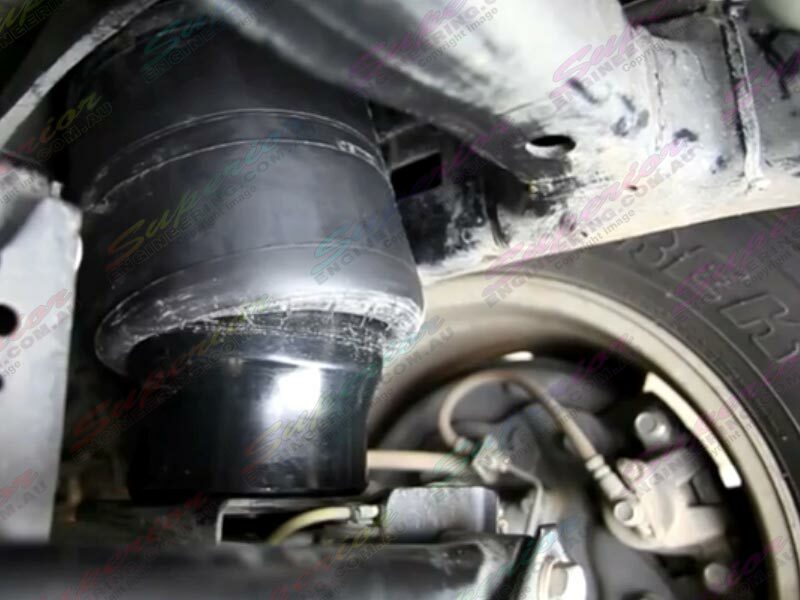 Ever wanted to know what airbag suspension kit is suitable for your offroad vehicle. 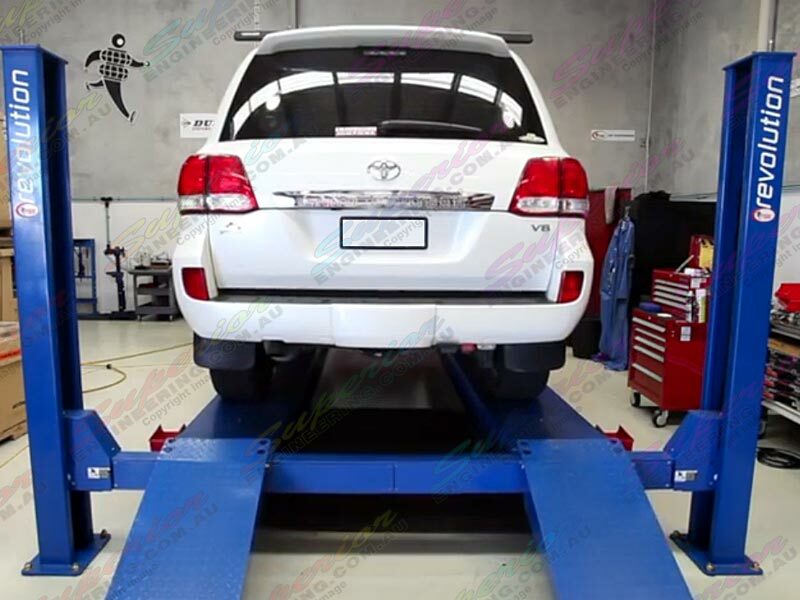 Then check out this table which lists all the most popular makes and models of four wheel drive (4WD) vehicles suitable for airbag suspension kits. 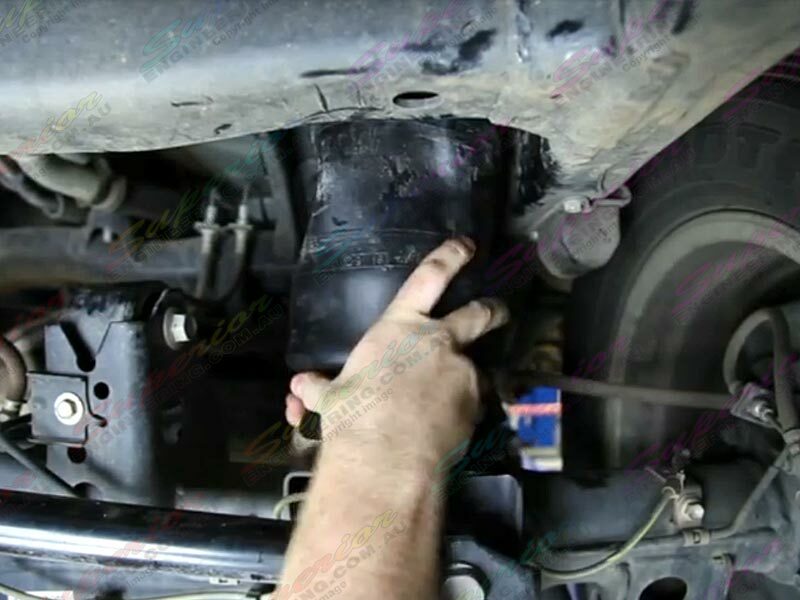 Take the guess work out of fitting an air spring kit! 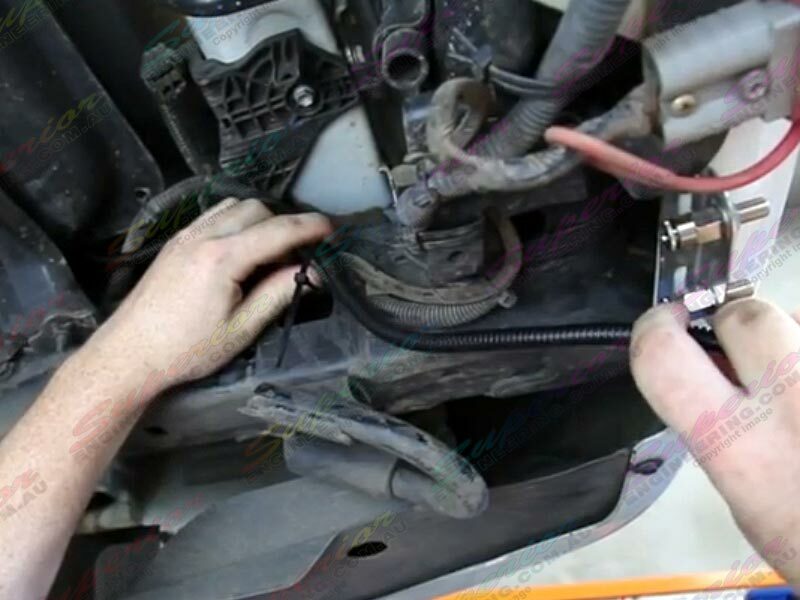 This list will link you directly to the correct airbag kit for your vehicle. 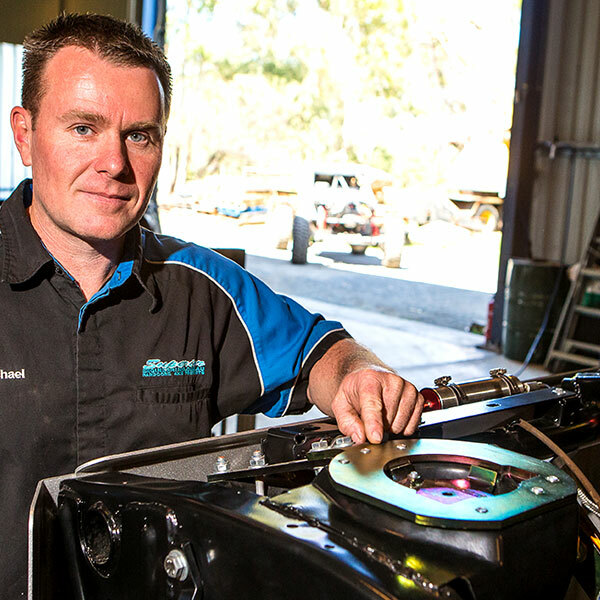 Michael Hayes tells you what you need to know about airbag springs for your fourby. We’ve all heard the rumours and hype surrounding airbag springs used in the back of 4WDs. There’s no shortage of myths and misinformation flying around. Hands up if you’ve heard these – airbags will change the amount of suspension travel off-road; airbags will often tear under flex; they’ll make the ride hard and bouncy; they’re prone to punctures; vehicles fitted with airbags routinely bend their chassis. Sounding familiar? Figure 1 : Well-designed airbags allow for a similar amount of suspension travel. Let’s deal with them in order. In most applications, wheel travel is NOT reduced. Well-designed airbags allow for a similar amount of suspension travel regardless of load conditions. In many circumstances due to the lower linear rate of the airbag fitment, it may provide more suspension travel compared to that of fitting traditional heavy-duty load carrying springs. As for toughness – kits are available to suit lifted vehicles and some are also available with protective abrasion sleeves or covers so that the bags will not get damaged when off-road. What about the ride? A correctly inflated airbag is only really providing support for the extra loaded mass. For the times when that added load capacity is not required, you simply deflate or reduce the pressure. 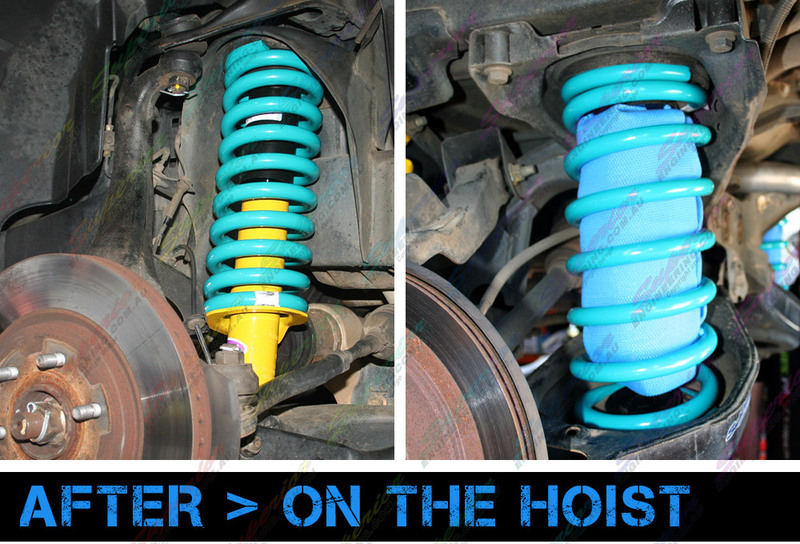 It is then that an airbag system is superior to having HD springs, which affect the ride in all situations. 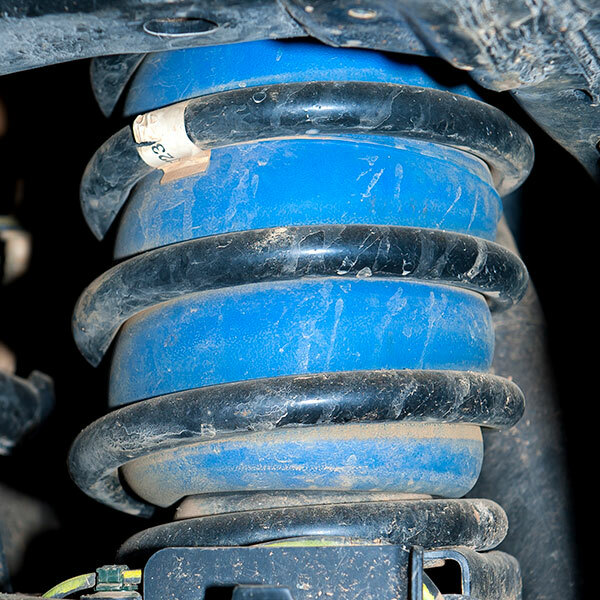 If you’re noticing bounciness, check your shocks haven’t had it. Puncture resistance is also good these days. A quality airbag is very durable and resilient (they’ve been used in trucking for years) and will only lose pressure for reasons similar to that of your vehicle’s tyres. So when you check your tyre pressures, check the pressure and condition of the airbags as well. The bent chassis problem is also vastly overblown. Overloading and / or poorly positioned loads combined with driver error are the common themes here. Always adhere to the vehicle manufacturer’s load and axle ratings, and consult the vehicle manufacturer’s handbook for load positioning and driving recommendations. In some vehicles it is actually far better to spread the load back into the chassis at more points. 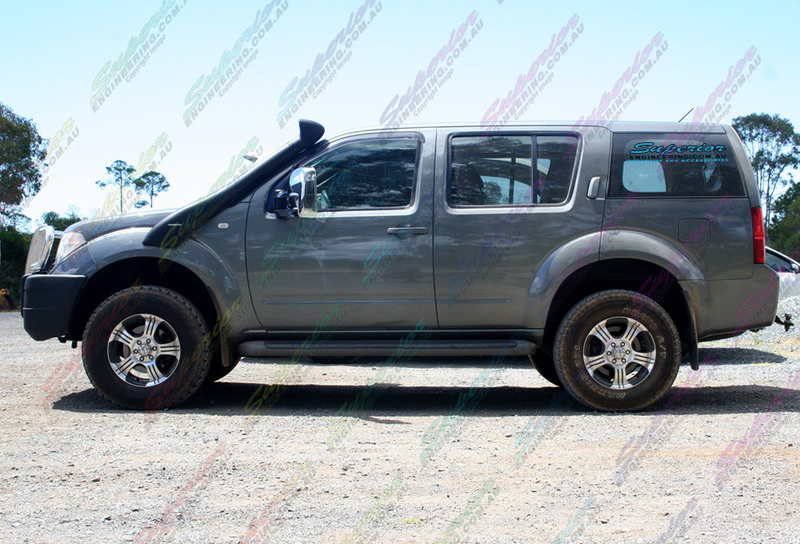 With that said, with GU Nissan Patrols and Navaras, running airbags can increase the risk of chassis damage and a suitable brace kit will need to be added before tackling big trips. But what about off-road performance? In some situations the use of an articulation kit for 4WDs may be required by owners who want increased upward wheel travel and increased droop (downward wheel travel). This is achieved by a top that opens airlines between the two air bellows to allow the passage of air to move from one to the other. 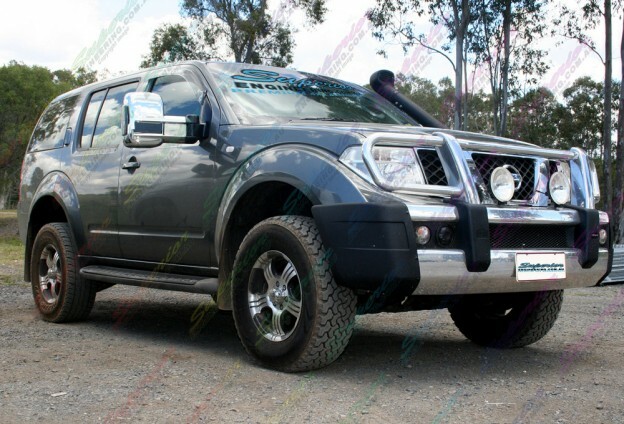 This is ideal for rocky 4WD conditions and some outback areas. 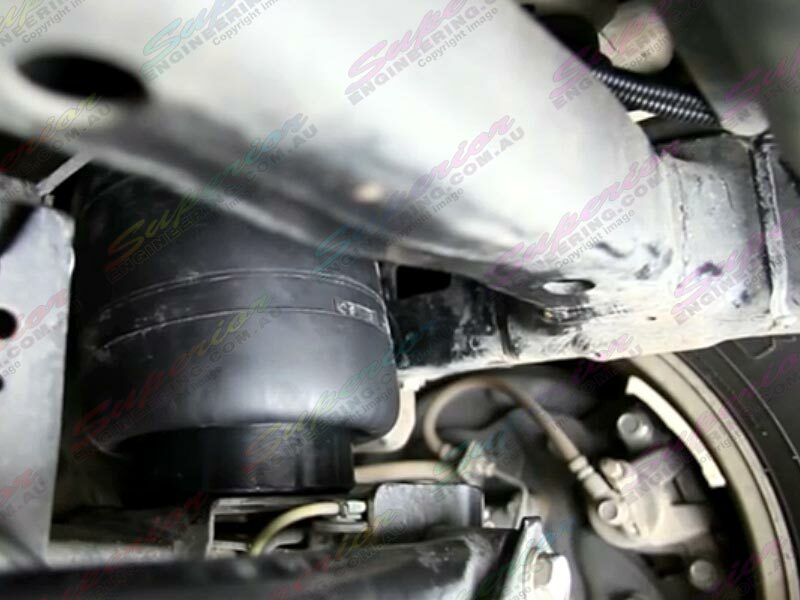 Air bellows are also great in aiding a loaded 4WD in the bush. When used correctly they can increase both ramp over and departure angles. 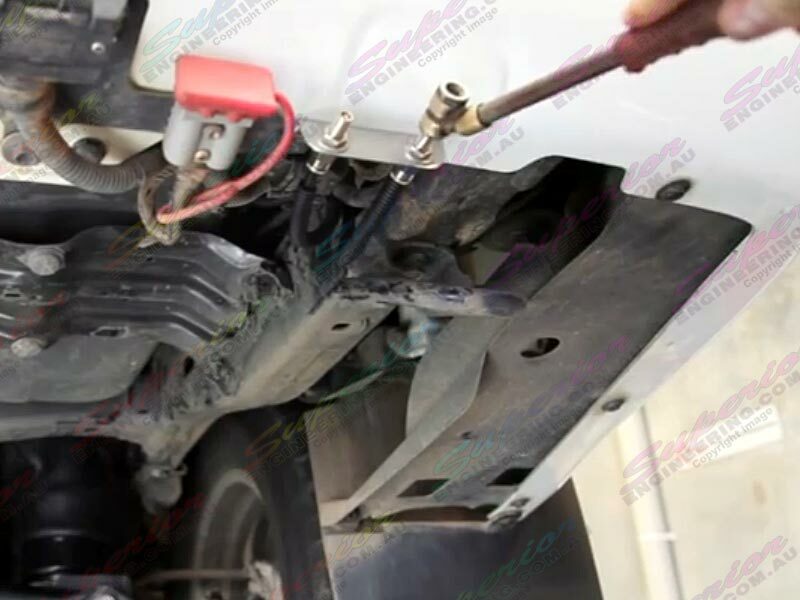 Figure 2 : On some vehicles, a chassis brace kit may need to be installed to prevent any issues.